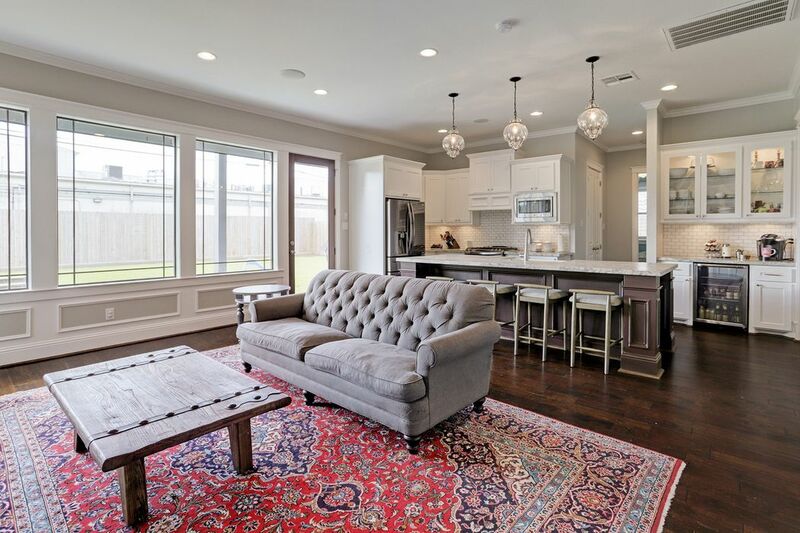 1223 Overhill Street, Houston, TX 77018 | Martha Turner Sotheby's International Realty, Inc.
Picture perfect recent construction (2017) located in popular Oak Forest and zoned to Oak Forest Elementary school. 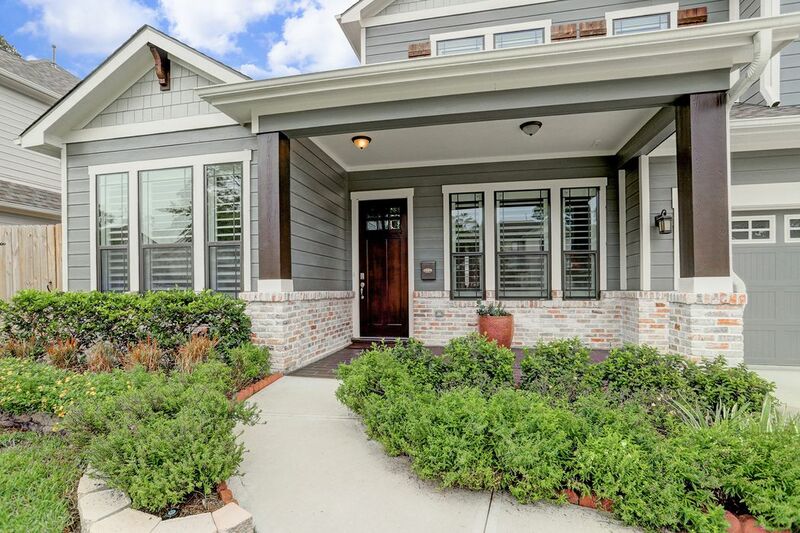 Spacious covered porch, a great area to greet neighbors and friends. 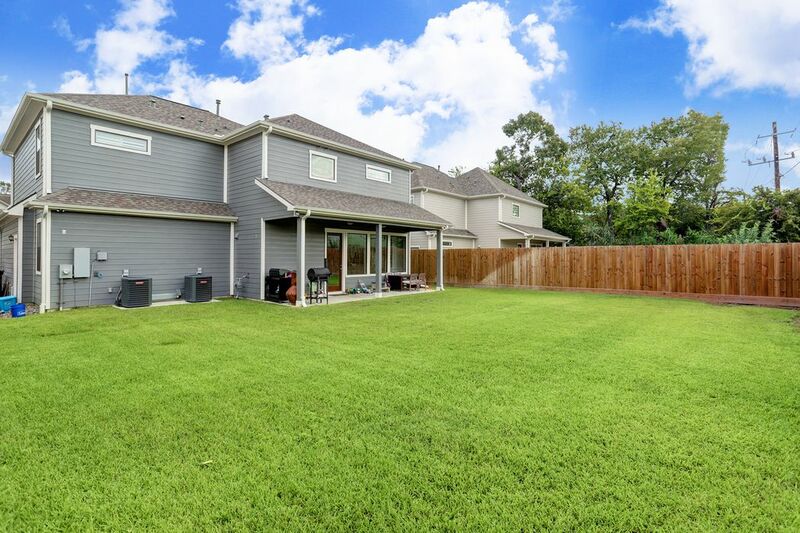 Surrounded by lush landscaping with sprinkler system. From front door, the dining to the left. Immediately on the right is study/4th bedroom and the next door over is the downstairs full bath. 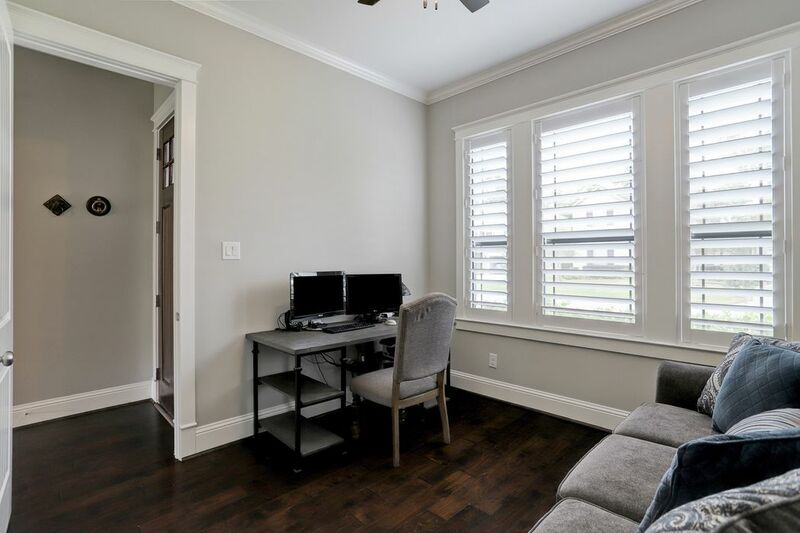 Downstairs study (or 4th bedroom): light filled room with custom shutters, located on the first floor just inside the front door. Another view of the downstairs study. 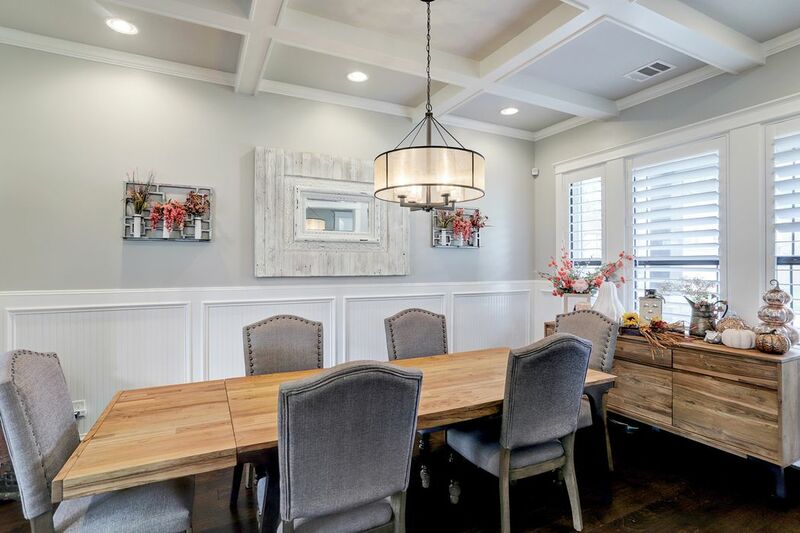 So much detail constructed in this formal dining area, located just inside front door. 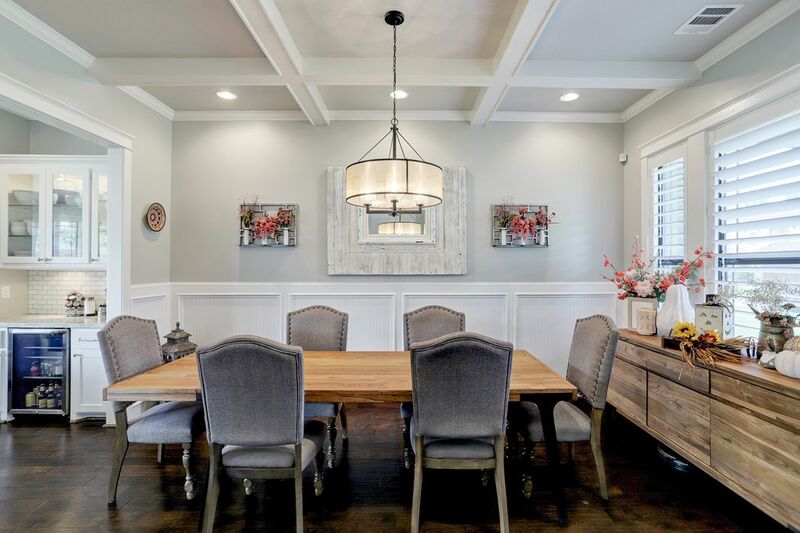 Custom shutters, coffered ceiling and beadboard wainscoting. Dining area open to kitchen (to the left) and easily accommodates larger furniture and accessories. 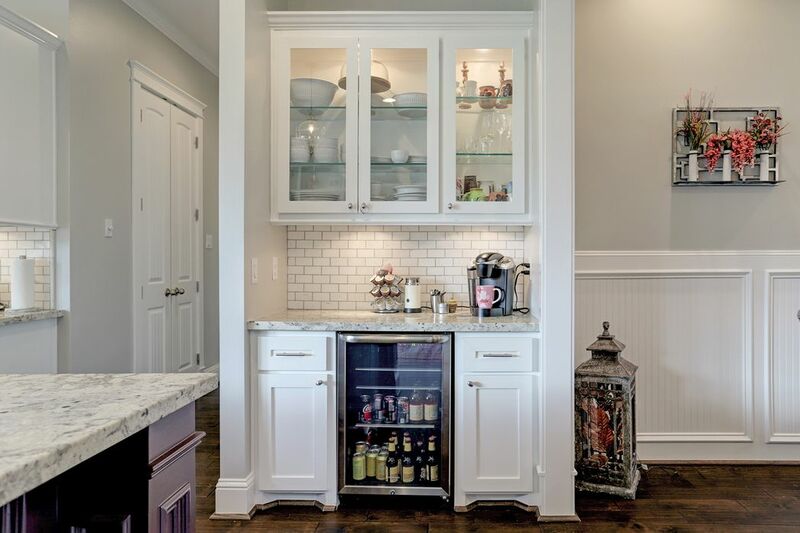 Located just outside of the formal dining room and before kitchen - is the beverage center and wine refrigerator. Lighted upper cabinet. The double doors in the left side hallway is the pantry. Standing in front of the beverage center looking towards family room. 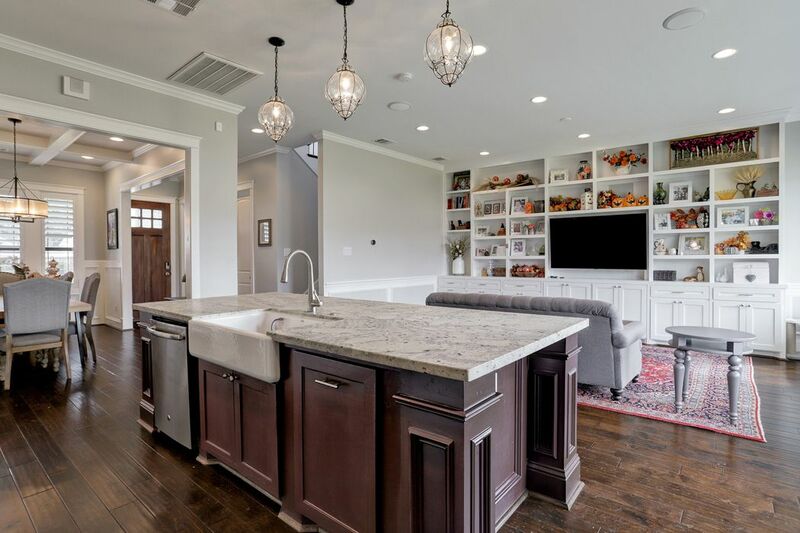 Beautiful kitchen with oversized island of leathered granite (both upgrades). 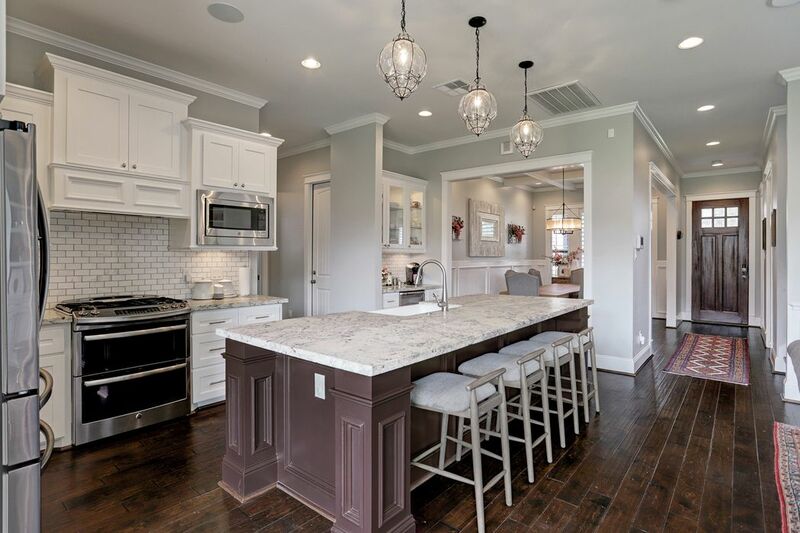 It is a wonderful open floor plan! An opposite view - showcases the farm sink and added lighting. Double gas oven (a treasure) and built in microwave. Trendy subway tiled back splash and room for 4 barstools! 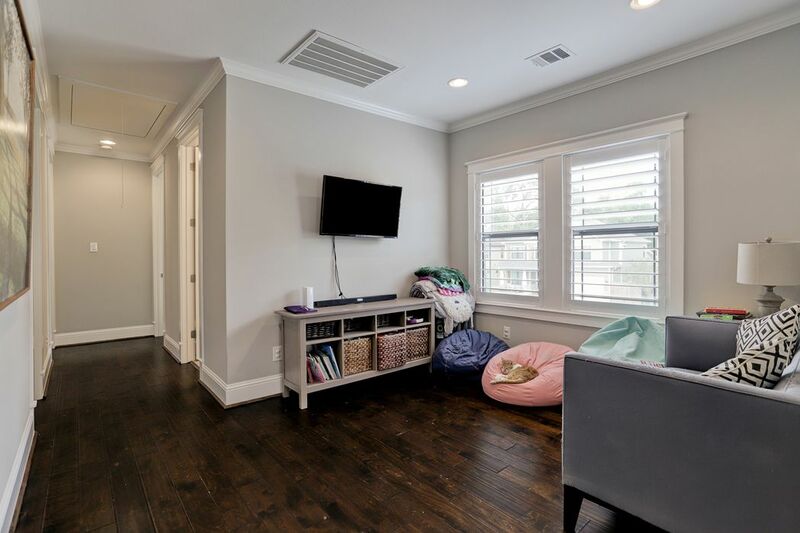 Family room: tremendous storage (hidden and display) which was also an upgrade. Wider view of the main living area. 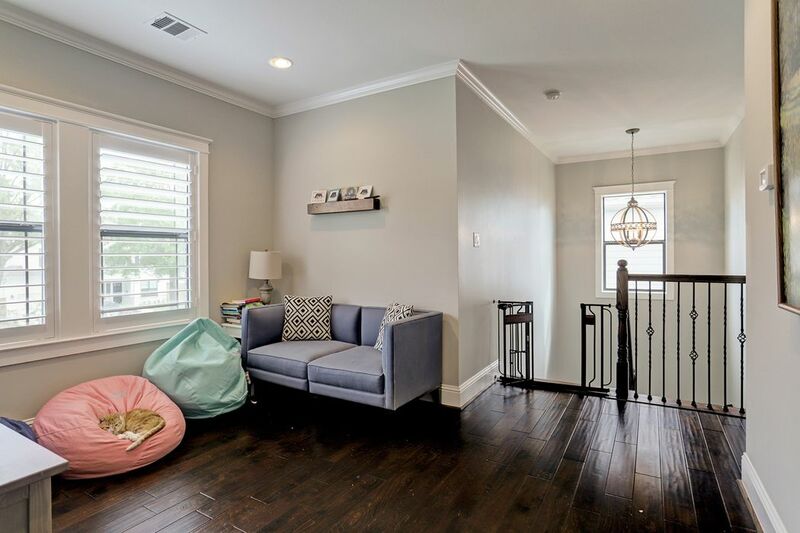 This family room would easily accommodate variations in furniture placement. Downstairs play room, just off of the kitchen, behind the attached garage. 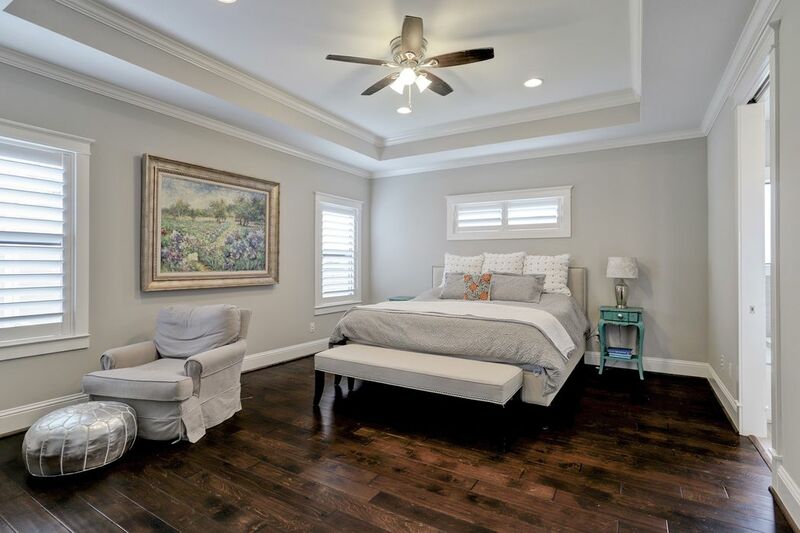 Upstairs master retreat with trayed ceiling, custom shutters, hardwoods. En suite bath is to the right. 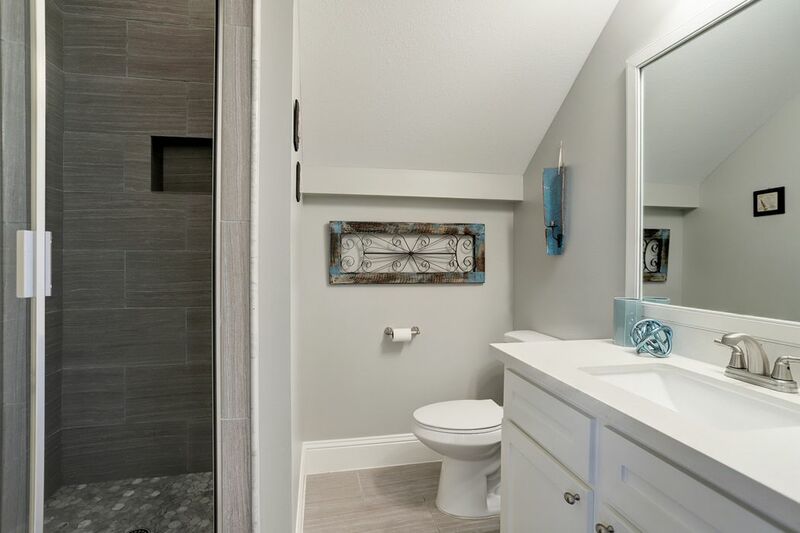 Master bath photo 1: neutral, serene colors - spa like finishes. 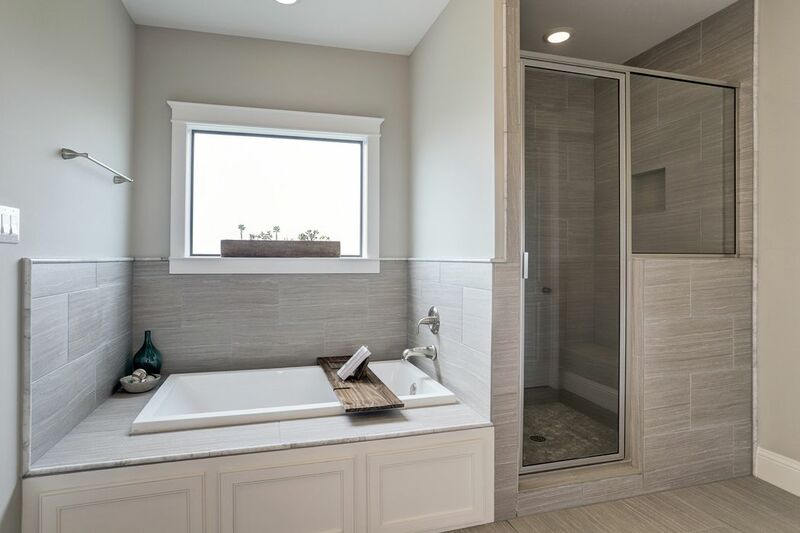 Tub and separate shower. 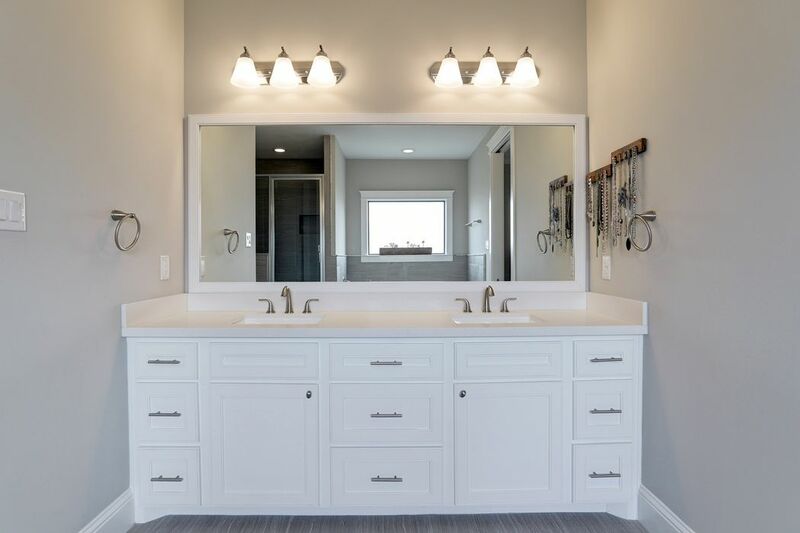 Master bath picture 3 - double sinks with quartz counters. 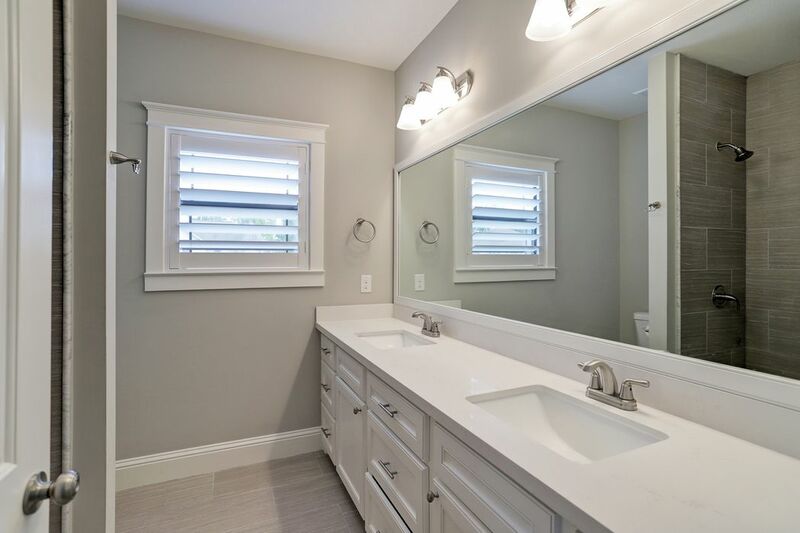 Secondary bath also features double sinks and quartz counters. 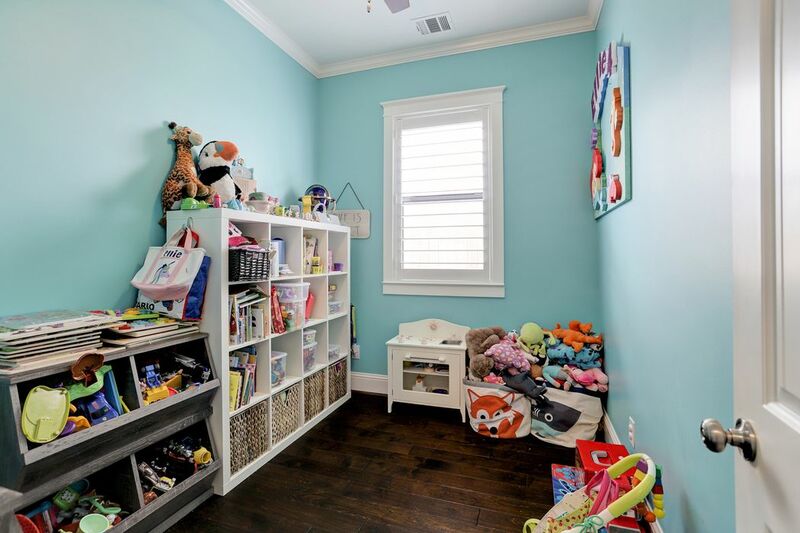 Upstairs play room is just outside the master bedroom. Opposite view of upstairs play area. Would also make a great reading room. 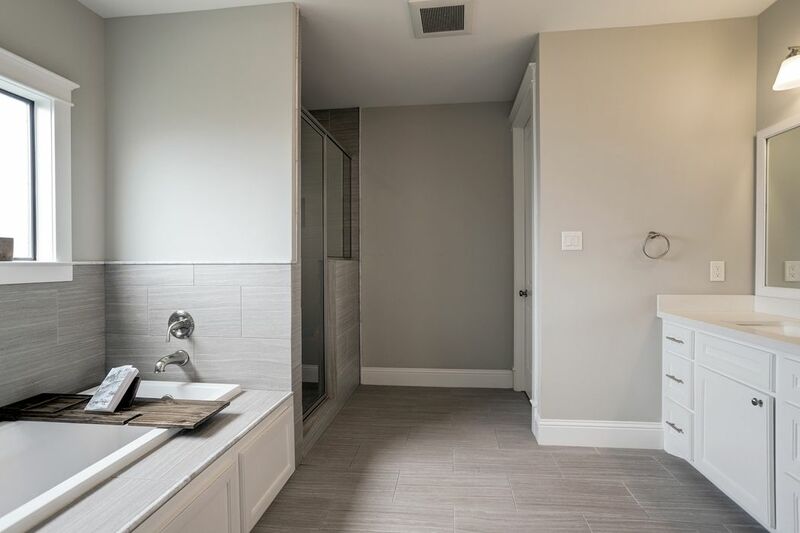 The utility room for the home is located on the left side of this room. It has additional cabinetry (another upgrade). Taken from the back western corner of the property. Covered back porch. From the eastern boundary of the back of the property. 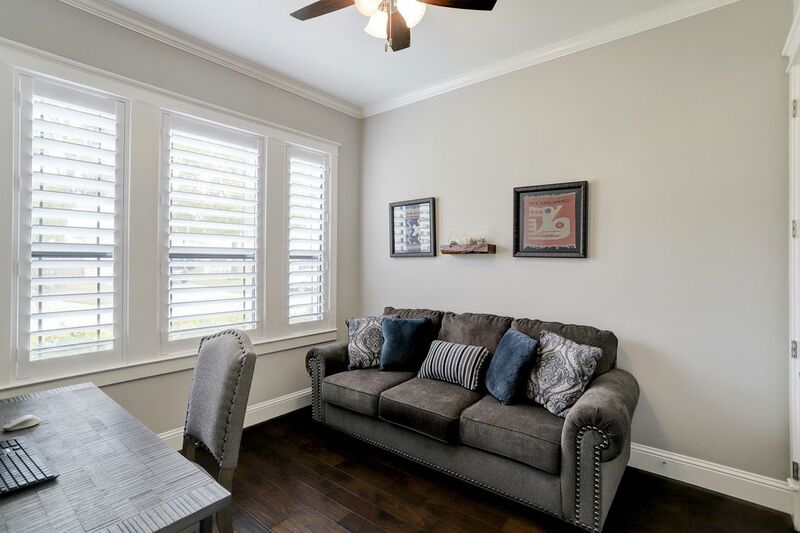 New construction on either side of this lovely home. 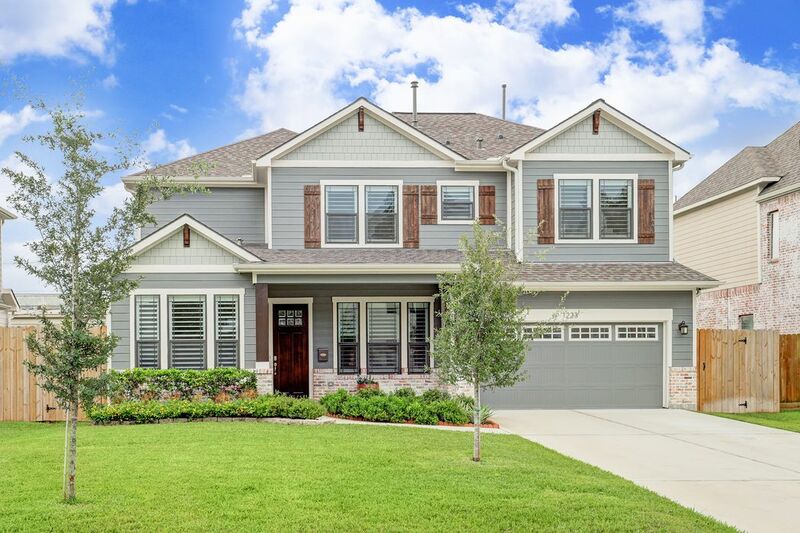 $715,000 3 Bedrooms3 Full Baths2,592 sq. ft. 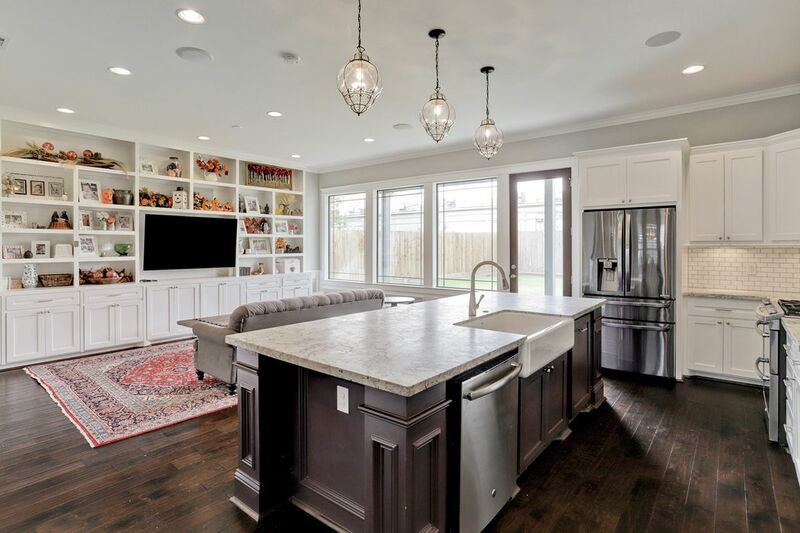 This beautiful recent construction home zoned to Oak Forest Elementary was built in 2017 by Square Design homes. Owner is being transferred. 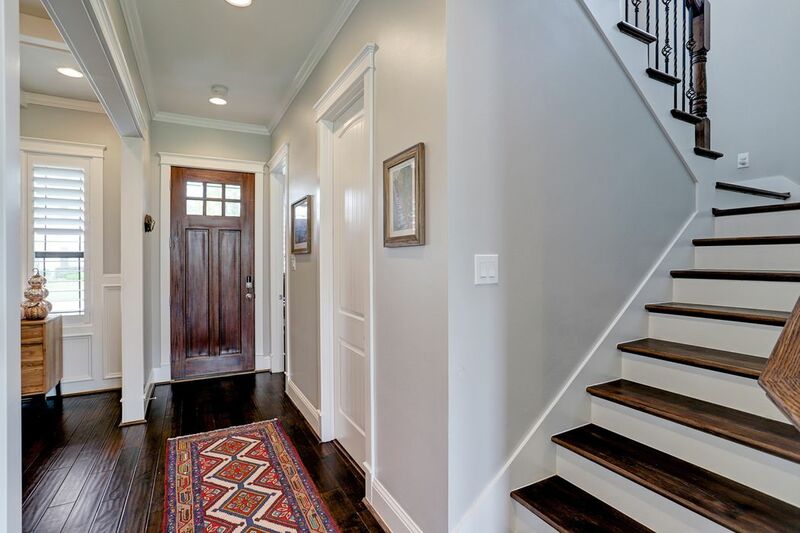 Beautiful hardwood floors and open concept floor plan. 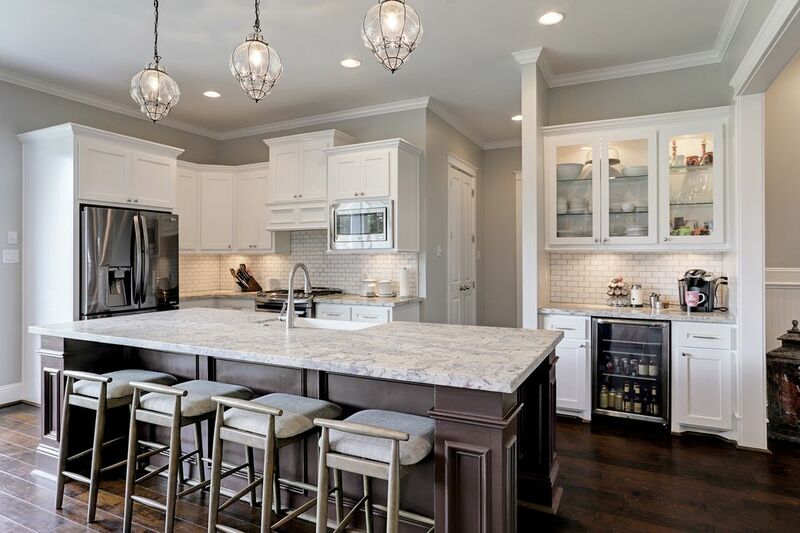 Chef’s kitchen boasts stainless steel appliances, gas cooking, double oven, farm sink, beverage center with wine chiller and granite countertops. Living area has fabulous built-ins and a wall-of-windows for great natural light. 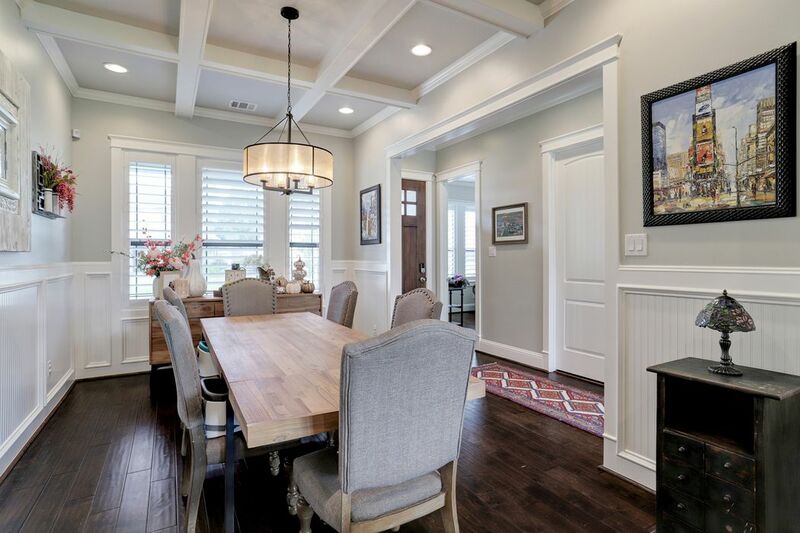 Beadboard walls and coffered ceiling are features of sizable dining room. Study (or fourth bedroom) is on first floor along with a full bath. Downstairs flex room. 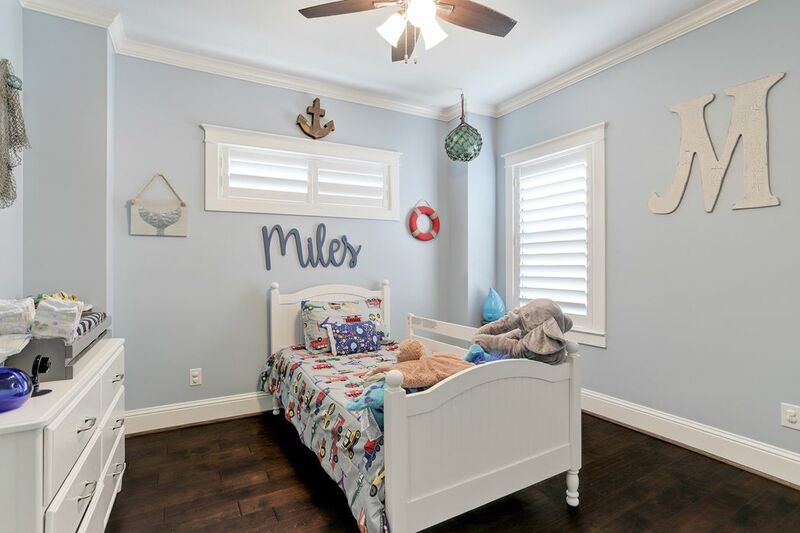 Sizable master bedroom is located on the second floor along with 2 secondary bedrooms and small game room. Numerous upgrades throughout. 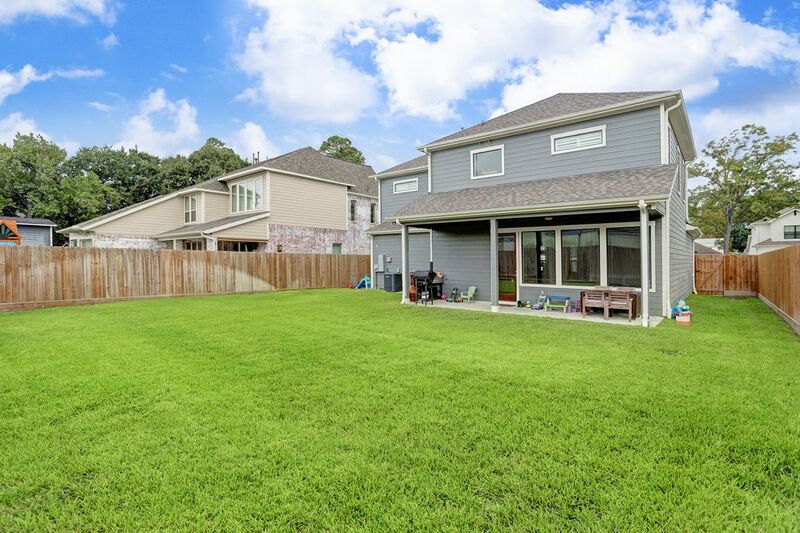 Spacious yard includes a sprinkler system and room for a pool. Covered front and rear porches.